Did you know that a chicken egg’s eggshell is a whopping 94 percent calcium carbonate? 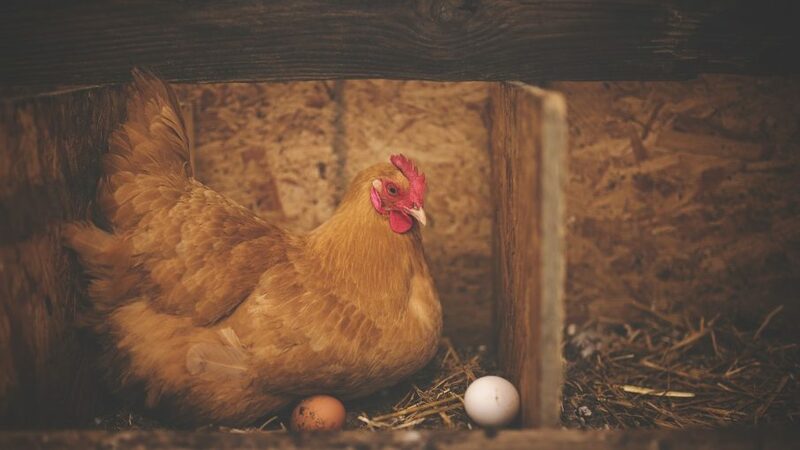 Thus, when your egg-laying backyard chickens are not getting enough calcium in their diet, the eggs are one of the first places that symptoms of a deficiency start to appear. And what many hobbyists may not know is that a layer hen’s calcium needs actually go up in hot weather and as she gets older! Common calcium deficiency symptoms in layer chickens include thin, weak eggshells and even eggs laid without a shell. To keep your hens healthy and their eggs strong, always feed your flock of chickens a well-balanced diet that’s been specially formulated for their age and purpose (i.e., meat birds require different feed from layer hens). Just to be safe, consider providing your backyard chickens with some tasty calcium supplements. You can give your egg-laying hens calcium by feeding your chickens either limestone or ground oyster shell supplements. Such supplements can be found at most farm supply and feed stores. Unlike traditional chicken feed, you can offer this feed supplement as a free-choice item in a separate feed hopper for the hens to access whenever they want. Your layer hens may also benefit from a Vitamin A, D, and E powder vitamin supplement added to their water every other day of the week. Some hobbyists who are trying to raise chickens on a budget recycle old eggshells as a source of cheap calcium. This is done by thoroughly cleaning the eggshells after cooking or baking, then sterilizing them in the oven. Caution should be exercised though! If you do not thoroughly crush the eggshells into unrecognizable pieces, feeding your hens eggshells can provoke them to start eating their own eggs. Limestone and oyster shell which is better for the chicken. Does the Oyster shell come with other micro-nutrients which the limestone does not come with? I liked the chickens eye view. My ltilte schnauzer was laying in the bunk with me while wait on my load to los Angeles. When I played the vid on my iPhone,she snapped awake and started barking. She’s standing in the drivers seat now,convinced we are surrounded by chickens. Nice coop for them birds. I am wondering if Bone Meal will also work, bones are primarily calcium as we.